As the summer comes to the new television shows roll in with excitement and new fashion. It’s common to watch television now and notice the unique style of the cast members or what accessories or even their hairstyles. We get use to seeing them and wonder how or where we can get these items. Majority of the time we met with high priced websites that ask far more than our check books and credit card can handle for a costume jewelry set, but there are alternatives and sometimes we find them while other times we’re stuck watching eBay for new items and constantly searching for the item we so desperately want. With the new season premier of The Gates on abc network, we’re met with not only quiet and sensual styles of clothing but clothing that matches each and every character to their mysterious double life. This show has two natural threats to the teenage world, Vampires, Werewolves, witches and even a succubus so it is bound to attract anyone in this year. The character displays their own individuality but the more you watch The Gates the more you realize each character’s sense of style and individuality. For instance Andie the Succubus has a sense of charm and elegance yet she’s flavorful, her clothing consists of pastel colors and soft garments such as silk pairing off with jeans. Another character Claire who also has a mysterious double life also exhibits a soft feel to her choice of clothing. All the fabric is soft and clean cut. She is easily draped in silk or sheer garment to dramatize the effect of her other side. You can even see the children who are dressed in casual apparel the colors chosen by the stylist. We see these things and they allow us to pair off the characters with their clothing as well as their different aspects. Though they may be dressed in casual wear mixed with flavorful fabric such as silk you can easily match their appearance to the second life character. Claire, who is played by Rhona Mitra who also starred in the trilogy to Underworld, The Rise of the Lycans, is portrayed as a housewife and mother. Her collection of clothing is similar to that of womenclothingtoday.com with pastel colors, soft yellows, and dark blues and browns. Even in real life the London born star wears silk similar to those displays on womenclothingtoday.com. Her portrayal is suppose to evoke ancient yet classical. Her double life draws viewers in with her constant hunger and need of blood. So as we sit and watch the characters of The Gates we are suddenly tugged into the lure of their apparel as well as their story. We feel the sense of fashion and style that is always there and that can also be picked up. Its cool day out and you’re imagining what to do next in this pleasant weather. It’s a rarity that the sun shines so brilliantly that you almost wish it’ll never end. It doesn’t reek with a burning sensation but warmth that is soothing and joyous. Its summer and yet you’ve got your favorite pair of jeans on and you know that they’re becoming old and warn yet you love them so what to do when you don’t want it to always have that old and tired feel. And you know it doesn’t always go with a joyous and sunny day. But what does is pairing it off with the right fabric. Patches may seem like a old wives tale or something your grandmother would suggest but they can add a lot to an outfit. Don’t think of it as patches but pieces added to your jeans to bring life into them. And adding the right fabric can do just that. Add a fabric that has a pattern but blends in. You can add pinks, blues, yellows, and even greens. Look for strips. This doesn’t take away from your look nor the jeans its self. If you find other pattern useful such as flowers or swirly designs that can work as well. Another fact about adding patches to your jeans is to be sure to patch in cotton fabric. Adding other types of material may take away from the feel of them being jeans being that they’re already cotton jeans. Another way to add more flavor to your jeans is believe it or not the blouse or shirt you wear. You jeans can be torn at all angles and levels yet it’s the top that matters and makes the jeans a fashion statement. Have you ever seen those gorgeous super models for example in Nordstrom catalog or Victoria Secret with really raggedy jeans but a blouse that is to die for? Well you can have the same effect. One fabric, silk adds a great sense of comfort and individuality. The colors on dyed handmade silk stands out and allows the jeans to look more in there natural form as if they came that way. 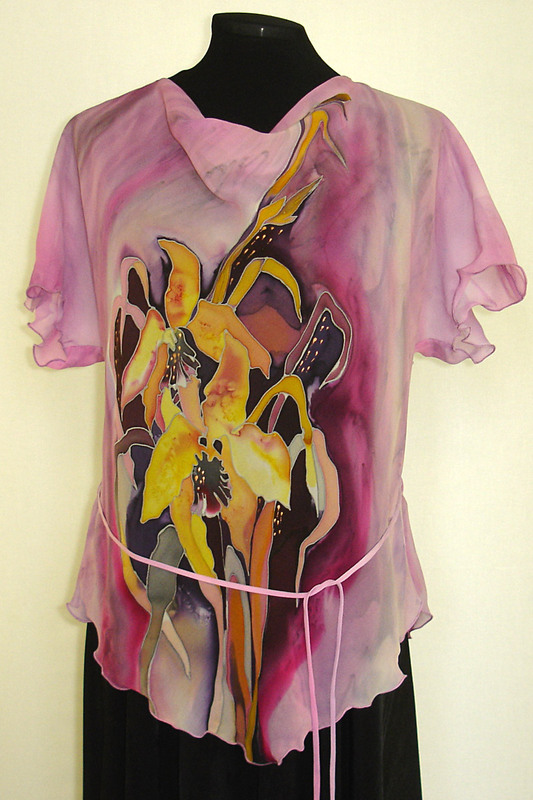 Even with a pair of jeans that are not worn out you’ll find that wearing a silk fabric top adds more taste. Stylish tops and blouses seen on womenclothingtoday.com or http://womenclothingtoday.com/All-Silk-Tops/?reset=1 can be worn in everyday casual wear not taking away from the added ripped jeans feel but adding to it to make it look classic and brand new. Jeans have come a long way and yet we can continue to add more to them such as patches and silk fabric tops and blouses without creating a different feel other than relaxation and joy for fashion. So with those tips in mind you can enjoy your spring, summer and fall and even winter with these looks. 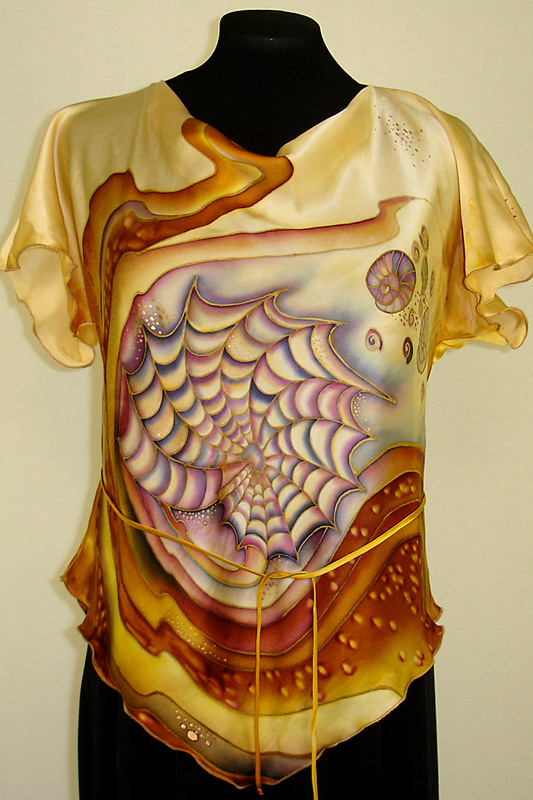 To view more fabric and silk tops and even ideas as to wear with the stylish pieces that you already have visit womenclothingtoday.com. The summer doesn’t have to always be over and with patches and silk fabric a good pair of jeans are good for any season.